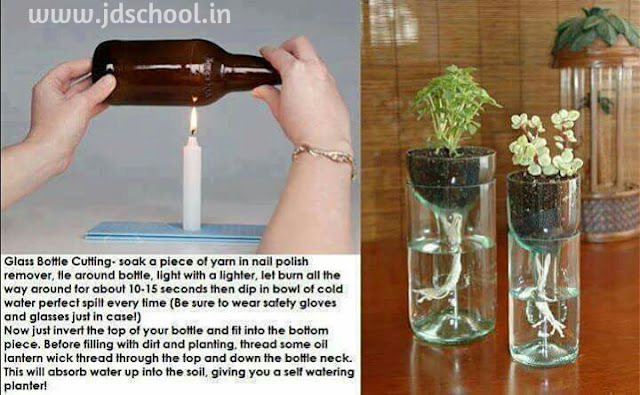 Now just invert the top of yarn bottle and fill into bottom plece before filling with dirt and planting thread same oil lantern wick thread through the top and down the bottle neek. This is absorb waterup into the soil giving you a self watering ppantter. bottle is ready for your decoration.